I have a wireless microphone module and the connector on it appears to be a LEMO connector. How do I determine the LEMO part number to order these connectors? What is the meaning of the letters Y or W at the end of a part number? What is the meaning of the letter "Z" at the end of a part number? How does the AC Current specifications relate to the DC Current specifications? How does the AC Voltage specifications relate to the DC voltage specifications? What is an NEMA rating, and how do I cross-reference with an IP rating? What is LEMO's position in regards to the requirements of RoHS (Restriction of Hazardous Substances) legislation? Does LEMO have MIL-SPEC connectors? Are any of the LEMO connectors built to a specific connector standard? Does LEMO have ISO certification? Do LEMO connectors have UL / CSA recognition? The web site displays product details different than the LEMO catalog. Which one is right? What do the following terms mean in the connector SEARCH? SEARCH did not find a connector based on my entry. How should I modify my entry to increase the likelihood? How does the advanced SEARCH apply Volts and Amps to hybrid connectors or those with different pin sizes? What does Readily Available Parts mean on the LEMO web site? In LEMO fiber optic connectors, what is a "T-adapter"? What does the letter Z signify as a contact code in LEMO fiber optic connectors? What is the significance of the "W" keyway code in the 3K.93C HDTV fiber optic connector part numbers? I plan to terminate LEMO fiber optic connectors at my site. What are the tools I would need to complete the task? The letters "Y" and in some cases "W" have been used for special designs. In general they indicate that a catalog item has been modified in order to meet a specific need in a particular application. Common specials can be looked-up using the Search By Part Number. Otherwise, contact info@lemo.com to get details about what is unique in your specific part number. A "Z" at the end of a part number usually indicates that something is missing. For example, if you add a "Z" to the part number of a free plug (FGG, FFA) then the plug will be equipped with a nut for fitting a bend relief. The bend relief itself must then be ordered separately. A "Z" at the end of a part number for a panel-mount receptacle (EGG, ERA) often removes the washer and nut from the product so that you can use your own hardware. In general heat generation and dissipation limits the maximum current for a contact. Because an AC (rms) current of the same amount as a DC current causes the same power loss for a given contact resistance, the maximum current specification is the value for DC and AC (rms). In general the AC voltage assumes a 50-60 Hz sinusoidal waveform and is the RMS (root mean squared) value. The DC Voltage ratings are the AC voltage values times 1.41 (usually rounded). Two widely accepted rating systems are the NEMA and the IP codes. NEMA, short for National Electric Manufacturers' Association, is commonly specified at installations in the U.S.A. IP, which is an abbreviation for International Protection, is derived from the IEC. IP and IEC are more common in Europe and Asia. IP stands for Ingress Protection. International Electrotechnical Commission - IEC 60529 "Degrees of protection provided by enclosures (IP Code).". NEMA offers a similar rating system. IEC 60529 outlines an international classification system for the sealing effectiveness of enclosures of electrical equipment against the intrusion of foreign bodies (e.g., tools, dust, fingers, and moisture) into the equipment. This classification system utilizes the letters IP (Ingress Protection) followed by two digits. 1 Protection from a large part of the body such as hand or from solid objects greater than 50 mm in diameter. 2 Protection against objects not greater than 80 mm in length and 12 mm in diameter. 3 Protection from entry by tools, wires, etc., with a diameter or thickness greater than 2.5 mm. 4 Protection from entry by solid objects with a diameter or thickness greater than 1.0 mm. The second digit indicates the degree of protection of the equipment inside the enclosure against the harmful entry of various forms of moisture (e.g., dripping, spraying, submersion, etc.). 1 Protection from vertically dripping water. 2 Protection from dripping water when tilted up to 15°. 5 Protection from water projected from a nozzle. 7 Protection against temporary immersion. 8 Protection against complete continuous submersion in water (up to 1 meter deep for 15 minutes). 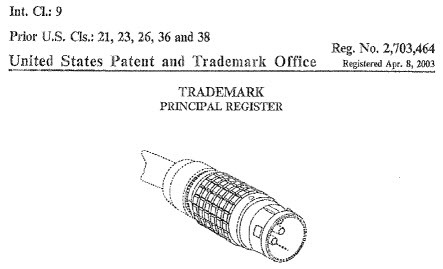 LEMO certifies that its connectors and accessories marketed, manufactured, and shipped after January 1, 2006 are in full compliance with the requirements of Directive 2002/95/EC of the European Parliament and of the Council dated 27th January 2003 regarding the presence of: mercury, cadmium, lead, hexavalent chromium, polybromide biphenyl (PBB) or polybromide diphenyl ether (PBDE), including DecaBDE. All part numbers will remain unchanged. The vast majority of all LEMO products require no adjustment for RoHS compliance. The few items that have internal solder connections have moved to lead-free solder. There are a few connectors with an optional aluminum-alloy shell that contains lead in that alloy. For that shell option LEMO will switch to a RoHS compliant aluminum alloy by January 1, 2006. All LEMO connectors with solder-style contacts are fully compatible with lead-free solder and the required higher temperatures. LEMO insulators are made of high temperature material and the standard connecting surfaces are made of an Au/Ni plating. In addition, LEMO has conducted verification testing of contacts and cable assemblies with lead-free solder. Standard cable and product assemblies from LEMO use lead-free solder. Cable assemblies and other value added products that require RoHS declarations of compliance will be available by June 1, 2006. Call us if you need help with certification earlier. LEMO also continues to offer custom services to meet customer specific requirements for both material and process (such as with solder selection) in cable and other product assemblies. Lead based or lead-free soldering processes are available. All LEMO connectors are tested to MIL standard test requirements (see table below). LEMO's F Series connectors meet or exceed performance requirements of military standards but are not "MIL-SPEC" connectors. Yes, two product series are built to standards, the LEMO NIM-CAMAC 00 Series, and the LEMO 3K.93C HDTV Camera Connector (see www.smpte.org for the standards). NIM modules (Nuclear Instrumentation Methods) are used to collect scientific data in nuclear particle research. The NIM-CAMAC 00 Series front panel connectors are defined in this standard, NBS-549. View the NIM-CAMAC 00 Series. The 3K.93C Series is used in the High Definition Television (HDTV) industry. The standard is the ANSI/SMPTE 304M-1998 "Television - Broadcast Cameras - Hybrid Electrical and Fiber optic Connector." The associated UL safety standard is UL1419 "Professional Video and Audio Equipment." LEMO worldwide is ISO 9001 certified. Yes, many LEMO connectors have Underwriters Laboratories (UL) recognition and UL for Canada recognition. For further details go directly to the UL web site and search by the file number:E119802. Despite extra care, changes or typographical and other errors may occur after the catalog is printed. Please report a discrepancy by contacting info@lemo.com. LEMO will correct the information in the catalogs, and update the web site. Also, please be advised that specifications, drawings, and other technical information are subject to change at any time and without notice. If you depend on particular features, properties, or performance characteristics, then please contact info@lemo.com LEMO to discuss your individual needs. A low voltage contact has no additional protection, such as an insulating sleeve, and is intended to run low voltages. However, depending on the distance to other contacts and the shell, its breakdown voltage under laboratory conditions can still be hundreds, or even a few thousand volts. LEMO recommends applying only operating voltages low enough to be considered safe in the target application. A high voltage contact has an additional insulating sleeve that provides longer creepage distances. It allows high voltages over a wide range of temperatures, humidity, and altitudes. In general, its breakdown voltage tends to be higher compared to low voltage contacts. The additional insulator can also reduce the risk of touching a dangerous voltage (LEMO recommends to always turn off power before disconnecting any type of connector). A coaxial contact is a concentric mechanical design to achieve a given electrical impedance. Electrical impedance is the ratio of the electrical field and the magnetic field of a wave traveling in a cable or through a connector and should not be confused with the contact resistance (typically a very small fraction of one ohm). Typical electrical impedances are 75 ohm for audio and video signals (analog radio and television) and 50 ohm for most other applications. A triaxial contact is a coaxial contact with an additional shielding. Triaxial cables and contacts provide better electromagnetic compatibility (EMC) and cause less radio-frequency interference (RFI). Because they are most common in the broadcast industry, they usually have 75 ohm impedance. A quadrax connector design has a center contact plus three concentric contacts, allowing connection of four wires. Because you can rotate the connector in any direction it provides convenience. Quadrax designs often are used for audio (stereo) applications. In general they do not have a controlled impedance. A thermocouple is an electric temperature sensor consisting of two different metals. In order to reduce measurement errors due to temperature differences in a connector, it is important that connector contact materials match the metals used to make the temperature sensor. LEMO's thermocouple connectors have pairs of thermocouple contacts (enter number of contacts = 2, 4, 6, etc. in "Thermocouple" on the Advanced Search page). To specify a thermocouple connector with a grounding contact, enter 2 in "Thermocouple" and 1 in "Low Voltage". Fluidic contacts for medical, dental and industrial applications allow you to connect single or multiple tubes and hybrid electrical/fluidic cables. They can also be used for air. LEMO offers a variety of ceramic and metal ferrules that can accept different fibers. These ferrules are grouped into four categories. Each category has been designed for a certain number of contacts (type F1/F2: multiple fiber optic or electrical/optical hybrids, type F3/F4: connectors with just one fiber optic contact) and ferrule hole sizes (type F2/F4: 125 to 140 um, type F1/F3: 140 to 1650 um). Shell Style is a way of grouping connectors into categories. The most common shell styles are free (straight or elbow) plugs and fixed (front/rear mount) receptacles. "Front mount" indicates that the connector normally is mounted from the outside (front side) of a panel. "Rear mount" indicates that the connector normally is mounted from the inside (rear side) of a panel. Printed circuit board connectors in general belong to the "rear mount" style because most of them are soldered in place before the board gets mounted inside a chassis. Insert Style groups various contact configurations, such as single contact, multiple contact, coaxial, fiber optic, hybrid, etc. Termination Style describes how you connect your cable or printed circuit board to the connector. Solder: soldered to a stranded or solid wire. Crimp: used for stranded wires. Printed Circuit Board: has straight leads. Elbow-PCB: has 90 degree elbow leads to a through-hole printed circuit board. Fiber optic terminates, optical fiber, and Fluidic/Pneumatic: intended for tubes. Thermocouple: special solder contacts for sensors based on the thermoelectric effect. Using the letter "I" instead of the digit "1"
If you cannot resolve this issue, please contact us at info@lemo.com for further assistance. Check your color requirement. Your connector of choice might be in the database in other colors (contact LEMO to get your color). Clear the Cable Ø fields and repeat the search. Do not specify a connector diameter or length unless it is absolutely critical. Try the S Series instead of B and vice versa (same for E and K). Choose a different Shell Style. Try both solder and crimp termination, or printed circuit board (PCB). You can also use the Connector Design Connector Quote Form for further assistance from LEMO (typically takes one business day). Change the sequence if you want to modify more than one parameter, or go to the advanced search page and start over. The "modify" choices at the end of the product details page include only "adjacent" values (i.e., the search engine looks for parts like the current one, except that they differ in the one aspect you are trying to modify. For example, if you are looking at an F Series connector, then you will see different numbers of low-voltage contact configurations. However, you will not see all the insert styles that LEMO offers in other series. In general, the search engine makes sure that at least one contact meets or exceeds required "Volts" entry, and at least one meets or exceeds the "Amps" criterion. For example, the 2B.708 insert has one high voltage contact (8,000 Volts, 4 Amps) and eight low voltage contacts (750-1,500 Volts, 10 Amps). The software will compare your voltage criterion with the best-case voltage specification (in this case, high voltage contact) and the best-case current specification (in this case, low voltage contact). In some hybrids, the same contact exceeds both criteria; in some others, like the example above, two different contacts qualify. For more information, please refer to the pdf catalog document. Non-standard parts have unique features to meet specific applications, and typically take 6-12 weeks to deliver. Because it takes only one non-standard component to make a product no longer readily available, the less specific you are in the advanced search, the wider the range of search results. The search engine tends to default to readily available parts whenever possible. The "T-adapter" is a component supplied with the LEMO K series fiber optic connectors that facilitates the secure attachment of the cable jacket to the rear of the connector, and permits an epoxy type moisture seal, preventing moisture ingress in to the cable from that junction. For further details see "Cable Fixing" in the Technical Library. A "Z" usualy designates no electric contacts. If the connector configuration calls for only fiber optic contacts, the letter "Z" must be entered in the contact code location to ensure proper encoding of the part number. Example: the FGG.3K.03A.CLZC65 is a straight plug with a cable collet and two holes for fiberoptic contacts . Note that you must order the two fiber optic contacts separately. In order to ensure safety to the system and users, the "W" five-key system is assigned exclusively to the HDTV broadcast camera connectors (see ANSI/SMPTE 304M-1998/311M-1998, ARIB BTA S-1005B or EBU R100-1999). In other cases select a different key code (for example, "G" or "A" or "J"). The type of connector chosen (single or multi-fiber, hybrid, sealed or not sealed), determines the tools required to terminate LEMO fiber optic connectors. For your convenience, LEMO has gathered the most common tools and accessories for 125 mm fiber connector assembly into a single kit, complete with a carrying case. For advice on terminating the various types of LEMO fibre optic connectors please contact your local LEMO supplier.